When you get something stuck in the drain, a lot of times, it’s not unexpected. Putting an entire roll of toilet paper down, for example, usually gives you the expected result; a clogged drain and a toilet that can’t handle it on its own. Even if you accidentally drop something important down there like your cell phone or a ring, it’s easy to retrieve and usually won’t go far. Most clogs can be taken care of yourself. But what about the rare times when your best efforts are fruitless? Call a plumber from John’s Plumbing & Pumps, Inc. Our rooter service in Tumwater can take care of even the toughest clogs so you don’t have to worry if the next flush will come up instead of go down! Just what is a rooter anyway? A rooter is a term you’ll probably only hear in plumbing; or as someone that roots for their favorite sports team! In plumbing, a rooter refers to a device that roots out a clog and extracts it. It was named this because it was invented to get rid of tree roots that would take over pipes. Often, a rooter is also known as a plumber’s snake but can be applied to any device that removes clogs. 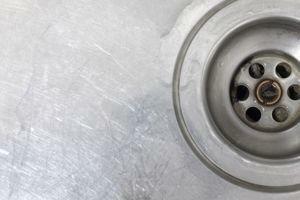 When should I call a plumber to get rid of clogs? Tree roots. The reason that the roto-rooter was invented in the first place, tree roots are more of a problem than they might seem. Tree roots are strong and can force their way into your underground pipes over time, causing leaks and clogs in the process. But we have the right tools to get rid of them. Non-biodegradable items. A plunger can force through many minor clogs, but isn’t a match for some non-biodegradable objects that are forced down. If a tiny sock falls in the toilet, for instance, it can be a lot more trouble to flush it down than to simply pull it out! Septic problems. Sometimes, the reason your plumbing fixtures don’t work isn’t due to a clog, but rather a problem with your septic system if you have one. We do drain cleaning and much more! Along with making sure your drains are clean, the plumbers at John’s Plumbing & Pumps, Inc can do much more than rooter service in Tumwater. When we come to your property, we might find that there are some major problems that we can solve before they become catastrophes. Our leak detection plumbers might find out that you have a leak and don’t even know it! Or you could have a plumbing system that’s on the brink of collapse due to being made from an obsolete material. 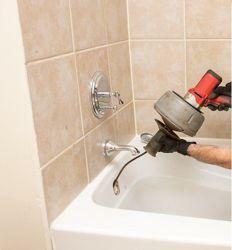 With more than sixty years in the plumbing business, we can help you in many ways! Call us today to find out what we can do for you.